Unique land tour of Providenciales going to places where only the locals go. Our fun, outgoing local guides will take you off the beaten track where you can explore the stunning beaches and relax in the clear, turquoise sea. A not-to-be-missed experience, tailored for your enjoyment. 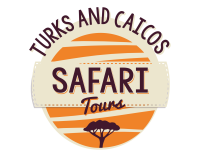 Turks & Caicos based provider of expert building and construction services from the ground up. With over 25 years of experience building everything from small projects to multi-million dollar hotels and residences on the islands. The best choice for your home builder on Turks and Caicos.